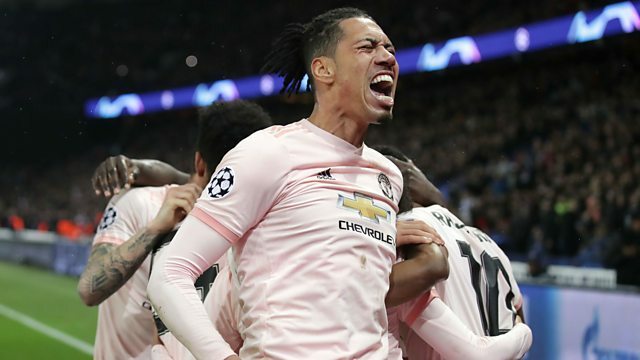 It was a remarkable night of Champions League football as Manchester United re-wrote the history books. They became the first team in Champions League history to overcome a 2-0 or greater home first-leg deficit. In Paris they beat PSG 3-1. It was 3 all on aggregate but United went through on away goals. Mark Chapman was joined on the pod by Charlie Adam in the studio with John Murray and Pat Nevin in France. Ole Gunnar Solskjaer pops up on the pod and remains coy about his long term future at the club - even after making it through to the quarter finals. The team discuss all the drama from that match which included two goals from Romelu Lukaku, VAR decisions and a penalty. John Bennett joins the guys and gives an insight into another thrilling last 16 second leg tie, but this time between Porto and Roma. An extra time VAR penalty decision put Porto through to the last eight. Not only that, fresh from England’s success in the SheBelieves Cup in America, England boss Phil Neville speaks to Chappers about winning the Cup for the first time and how he wants to build on England’s good form going into a World Cup year. So lots to look forward to in today’s action packed Football Daily podcast.